Somewhat of a mystery…every once and awhile, I troll back through years of historical online auctions just to see what other Pacific pieces have surfaced over the years. 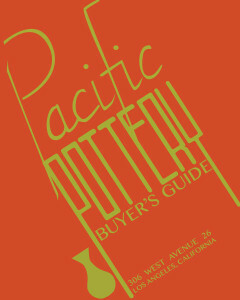 The other day I came across a couple of Pacific Pottery buyer’s guides from the 1930s. The cover photo was posted along with a couple of teaser pages. Based on the pages that I saw, they contain a wealth of information – including many of the pattern names for the decorated ware. The auction took place in 2011. I did hear from another collector that someone who worked at the factory (and has since passed) loaned out all of their guides and documentation to another collector. That collector took the guides and republished them, and the original owner found out and sued. I’m wondering if these guides are from that collection. Either way it’s a shame, since without these we are just stabbing around in the dark trying to piece the history of the line together. UPDATE: I did discover the lawsuit – Lattie v Murdach c-96-2524 – filed in January 1997 and was able to find some information on it. The plaintiff, James Lattie (son of Melvin Lattie, Pacific’s sales manager during the 1930s) sued Naomi Murdach, legendary San Francisco pottery dealer (whose real name was Clarence Tutt) for copyright infringement. 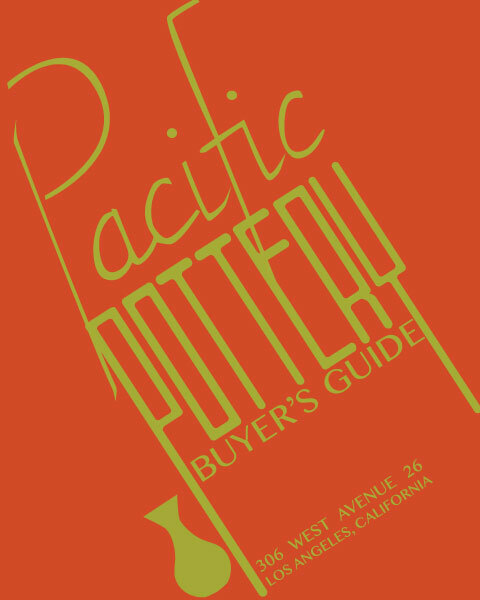 In the lawsuit, apparently Naomi borrowed Pacific Pottery promotional materials from James, copied them, and produced his own booklets. It was in fact the guide listed here. I have been unable to get a full copy of the verdict (James won), but I will keep looking for it. James Lattie passed away in 2014, and these materials have not surfaced in any other format. I took the original cover image and recreated in Adobe Illustrator, which is the image shown here.